Sega has released a new trailer for Valkyria Chronicles 4 introducing the game’s snow cruiser Centurion. Built in secret, the Edinburgh Navy constructed cruisers for use in battle. Three warships of the same model were built, and the Centurion, which Claude and the others embark on, is the second of the three. 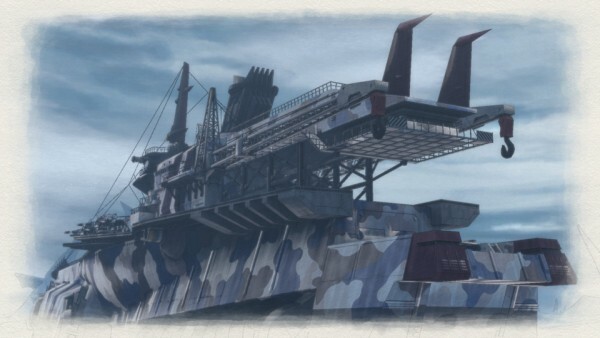 It can presumably move through fields of ice, and is equipped with a huge ram for breaking ice at the warship’s head. At over 230 meters in length, the Centurion is like a tank riding on ice as if striding across a stretched out crevasse. This giant warship’s ability to travel on land is thanks to technology given to Edinburgh by the United States of Vinland. Those details are country-level top secret. Valkyria Chronicles 4 is due out for PlayStation 4 on March 21 and for Switch this summer in Japan, and for PlayStation 4, Xbox One, and Switch in 2018 in the Americas and Europe.